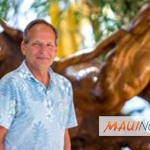 The Lahaina Cannery is featuring a variety of events and entertainment throughout March including hula dancing, the Holoholo Bookmobile and art shows. 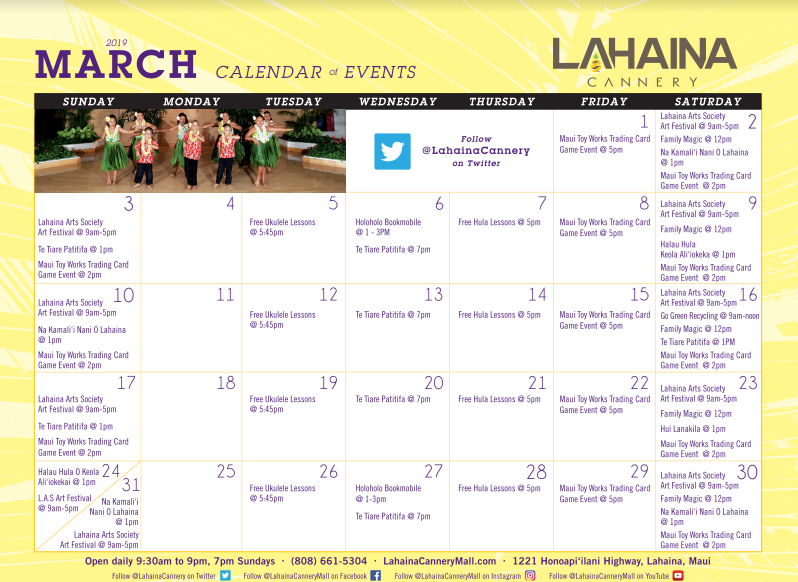 Lahaina Cannery Mall March 2019 Event Calendar. PC: LCM. Hula hālau continue to perform weekly at Lahaina Cannery throughout March. The free cultural entertainment takes place on center stage each Wednesday at 7 p.m., and Saturday and Sunday at 1 p.m. 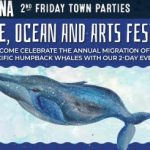 In addition to this event, Lahaina Cannery continues to host the Lahaina Arts Society every Saturday and Sunday in March from 9 a.m. to 5 p.m. on the lawn fronting Starbucks. This event provides the public an opportunity to meet artists, view and purchase paintings, glass art, ceramics, photography, woodcarving, jewelry and more. 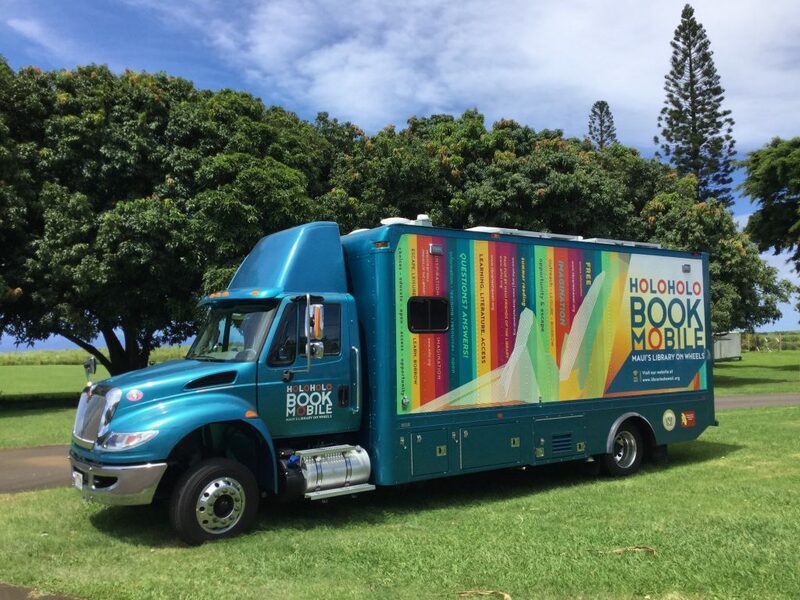 The Hawaiʻi State Public Library System’s Holoholo Bookmobile will also be at Lahaina Cannery on Wednesday, March 6 and 27 between 1 and 3 p.m. The Bookmobile offers books for all ages, DVDs, audiobooks, free Wi-Fi, reference help and assistance with eResources. 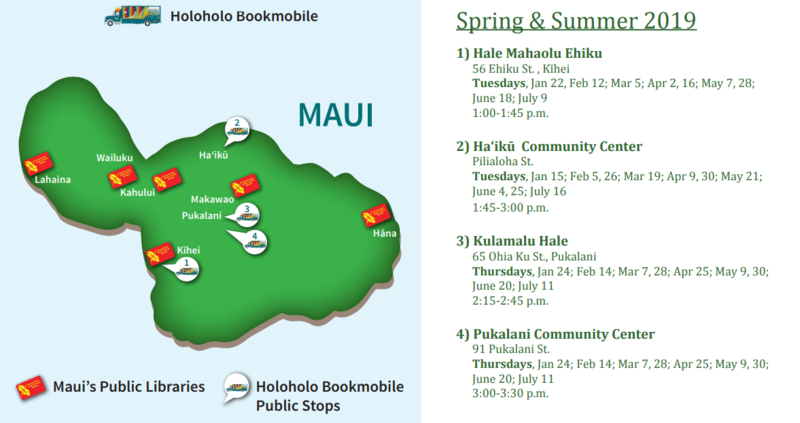 Printed copies of the Holoholo Bookmobile’s new schedule are available at Maui Public Libraries. Other free family entertainment this month includes Maui magician Holden Mowat with his interactive, all-ages magic-comedy performance at center stage. The magic veteran from the award-winning Kupanaha Magic Dinner Show performs every Saturday at 12 p.m.